As part of Lorraine Marwood’s blog tour launching Celebrating Australia: A Year in Poetry — we have one copy of the book to give away! Think of something that scares you … or something that scared you when you were younger. (Sometimes ordinary things can seem very scary to someone small.) Write a poem about it. Your poem should be no longer than 20 lines (shorter is fine!). Your poem can be handwritten or typed. The winning poem will be published on Alphabet Soup’s blog and the winner will receive one $30 bookstore voucher (posted to the address provided on the entry). Entries (poem + cover sheet) can be scanned and emailed as PDFs or .docx documents only to editor@alphabetsoup.net.au. Entries must be emailed in time to reach us by the closing date. KEEP A COPY OF YOUR POEM because all entries and contact information will be destroyed after the winner is announced. The competition opens on Saturday 25 October 2014 and closes at 11.59pm (Perth time) on Tuesday 25 November 2014. This competition is open to children aged 12 or younger on 25 November 2014. This competition is open to residents of Australia only. To enter, you must write a poem about something that scares you, or something that scared you when you were younger. Your poem should be no longer than 20 lines (shorter is fine). The poem must be all your own work. Poems that are copied from someone else (plagiarism) will be disqualified. Entries must include the the official cover sheet with its signed declaration (see above to download). You may enter as many times as you wish, but each entry must include its own completed cover sheet (see above to download). One winner will be chosen and will be notified by email or by telephone as per the info on your cover sheet. The winner’s poem will be published on Alphabet Soup’s website and the winner will receive one $30 bookstore voucher — posted to you in the mail. 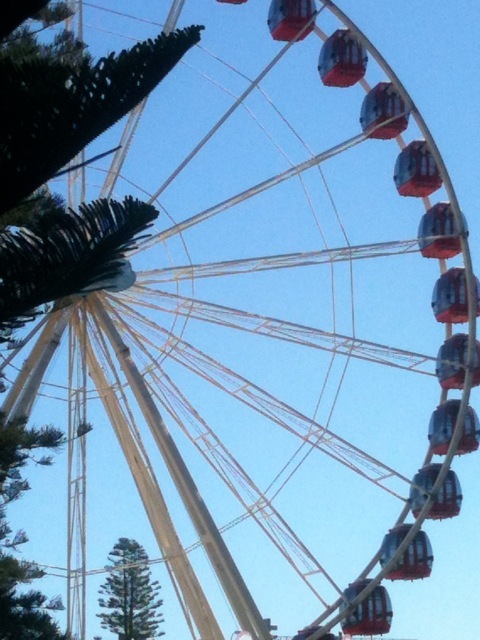 Entries (poem + cover sheet) may be posted to Alphabet Soup, PO Box 3099, Broadway Nedlands WA 6009. OR Entries (poem + cover sheet) can be scanned and emailed as PDFs or .docx documents to editor@alphabetsoup.net.au. Alphabet Soup will never pass your information on to anyone else, except where required by law. All entries and personal information will be destroyed at the end of the competition. The winner is being announced on the Kids Book Review site today. See you over there! 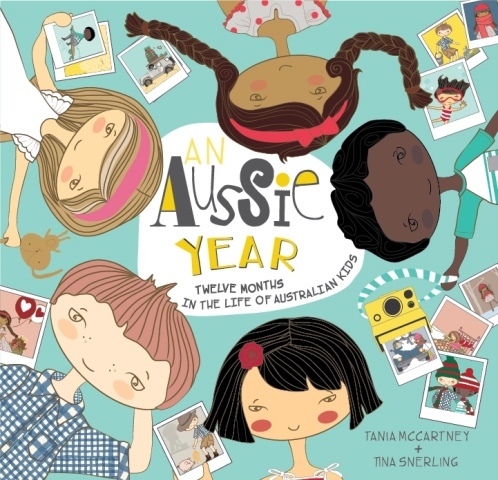 An Aussie Year is a new picture book (out this month!) about what Australian children love to do each month of the year. There’s a Blog Tour to celebrate (we’ll be featuring a book review of the book on our stop of the tour). An Aussie Year Writing Competition! We’re so excited to be running a writing competition (in conjunction with Kids’ Book Review) to help launch a new book! 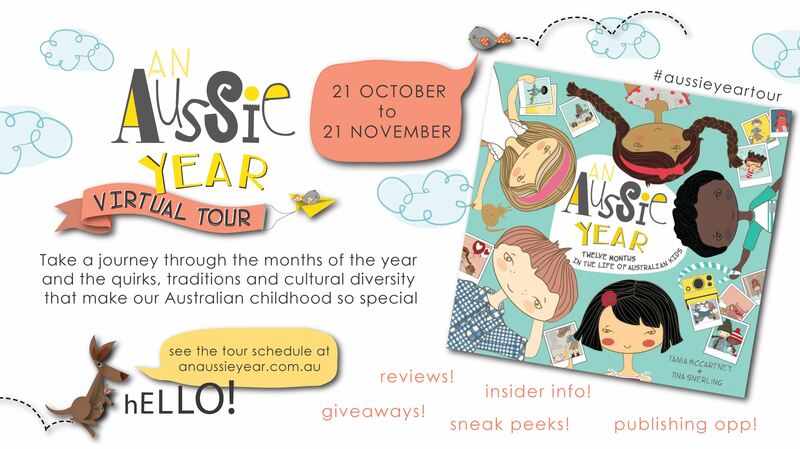 An Aussie Year will be launched in October 2013 — and YOUR story can be part of the celebrations! We had so much fun reading through all your entries about superpowered mums. Congratulations to these three winners (and their super amazing mums!). My mum can fly. Yes that’s right she can fly because she has red high heeled rocket shoes! Mum flies to help people. When there were bushfires, mum helped the firemen and flew in the air with buckets of water to put out the fires. But Mum had an accident last month and her heel broke walking down the stairs at school. All the rocket fuel leaked out. Her rocket shoes stopped working. Mum needed to get her rocket fuel shoes fixed. The rocket shoes were made in China. Mum could drive to China but it is a long way and there are no bridges. Mum could go on a plane but that would take a long time. Because I am only small I told Mum I could wear one of the rocket shoes and fly to China to get it fixed. But I have never been to China and don’t know how to speak Chinese. How would I know where to go or what to do? I called my best friend Holly because she lived in China before she moved to Brisbane. I asked her to come with me. Holly and I flew to China that afternoon. We saw the Great Wall of China. We saw the factory where they make Apple iPads. We saw a jewellery shop and then we saw the shop that sells rocket shoes. They told us where to find the shop where they fix rocket shoes. Holly and I flew back home with Mum’s rocket shoe fixed. Now that Mum has her red rocket shoes fixed she helps people in trouble again. She flew a little girl who broke her arm at gym straight to hospital. Mum moved the boats in the Brisbane river when the big floods came. And Mum was flying over Stradbroke Island and saw a dolphin washed up on the beach. Mum flew down and flew it back to its mother. Everyone on the beach clapped and cheered when they saw Mum do this. I am so proud of my mum and her amazing red rocket shoes. If you are ever in trouble, don’t worry because my mum will fly and help you! One day I was on my way out of the house. The house was a pig-sty. You see my dad’s job is a shop keeper at an antique shop and nearly nobody goes there so dad brings back stuff that has been there ‘forever’. So, our house is basically full of old bits and pieces. Anyway, so I’m going out to Jessica’s house (my best friend) for about an hour or two when I see Mum writing down today’s list, my gosh it was long! There were jobs like hanging up 11 rounds of washing, putting on the dishwasher 6 times and other crazy things. I thought she was writing a list for the whole year. So very amazed I walked out of the house. I told Jessica about the list, she was as surprised as I was. After all the gossip we played Wii sports for an hour and soon enough Jess’s mum got a call for me to go home. I said goodbye and started my journey home. On the way I remembered the list and power walked the rest of the way home. When I got home I realised the house was all tidy. After a while I told Mum I needed a shower because I was all sweaty from playing Wii. On my way down to the bathroom I quickly ran into Mum and Dad’s room. On Mum’s bedside table I saw her list all ticked off. After dinner I went to bed. When Mum came in to say goodnight I asked her about the list. So that’s how I know my mum has superpowers and why our house is usually neat and tidy. Thank you for reading my true story about my mum! It can be frightening at the top of The Great Dividing Range. The weather can change quickly; one minute a glorious day and within an hour the weather can close-in with black clouds engulfing our farm. When this change occurs we head home to be safe. We have warning if we listen and watch the animals. The cows huddle together voting on what the lead cow is saying. The horses also gather for safety, neighing to discuss the weather change. While riding with Jack, the sky was getting darker. The horses were scared, wild eyed and galloping home. No time to take the horses to the shed, it was important to be indoors before lightning strikes. Our parents, on the verandah, helped us inside then freed the horses. I shuddered; the lightning was striking the earth. Our farm in drought; dry grass, thirsty lifeless trees, hungry thin animals, all praying for rain not fire from lightning. We prayed too hard, the rain wouldn’t stop! The river rising rapidly, the island now inaccessible. Our foal was shivering and alone on the island. How could this have happened? I suddenly remembered I had been riding the mare, of course she was not with her foal! I ran to every window searching for the mare. She was neighing and searching frantically for her foal. My mother wondered what was wrong. She assured me that animals have a way of finding each other. I knew she was right but how could the mare save her foal from drowning in the flooded river. The water, swirling around dead debris creating strong currents impossible for a new foal to swim in. I feared the worst. Then saw a Pegasus in the stormy sky travelling towards the shrinking island where the foal stood still, too scared to move. The foal suddenly lay down! I thought she must be dying. Her eyes flickering, she seemed to understand what was happening. The Pegasus flew down onto the foal and amazingly picked up the foal and cradled her in her four strong legs soaring towards the shed and our herd of horses. The Pegasus gently laid the foal on the ground. The foal quickly rose on its four legs and cantered towards its mother. The mother ran her nose over her foal, it was now safe. I wondered for years about this strange event, wondering if I dreamt the happening and many other events where our farm animals were in trouble. After my mother died, she left me a beautiful wooden box in her will. Inside the box was a large white feather … I knew now the meaning of the Pegasus and how it always appeared in times of trouble. I thought, I wished I had known of my mum’s super power. Then, I sighed and whispered to myself, WOW! AWESOME! It was my mum who fixed what seemed impossible! I closed my eyes and wondered if I too might have a super power! If you’re on holidays and you need some motivation to get your pen (or keyboard) out, don’t forget to check out our Comps for Kids page for a list of current competitions open to primary-school aged kids. And don’t forget! Entries for Alphabet Soup’s story-writing comp close on 1 May 2013 (you can email your entry, so there’s still time to get writing about your Mum’s secret super power. Check out all the details here.). Make sure you visit us again on Wednesday — we’ll have James Foley visiting to talk about his work as a writer and illustrator. And for the rest of 2013 we’ll be sharing lots of our favourite classic poems (my friend calls them ‘oldies but goodies’) — along with all the usual book reviews, author and illustrator interviews and YOUR fabulous stories, poems, book reviews and artwork. Did you read any books over the holidays? What would you recommend? Do you have a favourite poem? Let us know in the comments!